Movistar has a reputation for being old school, but we hear from riders and sports directors who know how the team operates to find out what it's really like. Kilometre 0 is supported by The Economist. UK-based listeners can get a free print copy of The Economist delivered to their door by texting KM0 to 78070. The latest episode of The Cycling Podcast is all about **Paris-Roubaix**, where **Philippe Gilbert** almost completed his collection of monuments, sprinting to his fourth (of five) in the old Roubaix Velodrome.Richard Moore was there and he reports from the start in **Compiègne** and the track centre in Roubaix, where he spoke to **Marco Haller**, a strong teammate to runner-up **Nils Politt**, and **Bernhard Eisel**, as he recovered from finishing his 16th Paris-Roubaix. We also hear from **Patrick Lefevere** and **Dirk Demol** of the two dominant teams, **Deceuninck-Quick Step** and **Katusha-Alpecin**, and there's an appearance by the podcast's favourite Italian, **Ciro Scognamiglio. **Lionel Birnie and Daniel Friebe join Richard to analyse Paris-Roubaix and discuss Gilbert's standing in cycling's pantheon of greats. 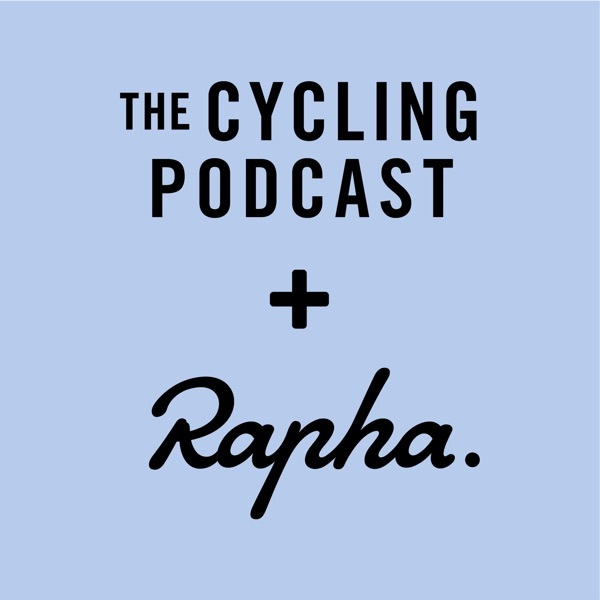 They also look back on last week's **Tour of the Basque Country** and ahead to Sunday's **Amstel Gold Race**.The Cycling Podcast is supported by Rapha and Science in Sport. **OUR SPONSORS****Rapha** has just launched its new custom kit giving you the chance to design your own Rapha kit. Begin your journey now. Choose from the varied set of templates, pick your colours and add your logos. Make your mark with Rapha Custom at http://www.rapha.cc/gb/en/custom/(http://www.rapha.cc/gb/en/custom/)**Pédaleur de Charme**Pédaleur and pédaleuse de charme t-shirts, caps, and jerseys are in back stock in all sizes on the [Rapha website. ](https://rapha.cc)**Science In Sport** are offering all listeners 25 per cent off their range of energy bars, drinks and gels at [https://scienceinsport.com](https://scienceinsport.com) Use the code **SISCP25** when you reach the check-out.This episode is sponsored by **The Week**, which pulls together the best and most interesting news and current affairs articles from over 200 different sources, giving you multiple points of view on the important stories in one place. Try six issues of The Week for free by going to [https://theweek.co.uk/offer](https://theweek.co.uk/offer) and using the code **CYCLING**. **FRIENDS OF THE PODCAST**There are two forthcoming Friends Specials, one on the recovery from very serious injuries of Marco Haller and Bernhard Eisel, the other a morning coffee with Patrick Lefevere, boss of the all-conquering Deceuninck-Quick Step team. Sign up for just £15 (or feel free to pay more if you want to support what we do) at [https://thecyclingpodcast.com/friends](https://thecyclingpodcast.com/friends)Join us on [Strava](https://www.strava.com/clubs/176285/), [Facebook](https://www.facebook.com/TheCyclingPodcast/), [Instagram](http://instagram.com/thecyclingpodcast) and [Twitter](https://twitter.com/cycling_podcast). Before Sunday, Alberto Bettiol had not won a professional bike race. The Tour of Flanders was some way to get off the mark.Richard Moore, Lionel Birnie and Daniel Friebe discuss the EF Education First rider's surprise victory and ask how he was able to stay clear of the star-packed chasing group from the top of the Oude Kwaremont all the way to the finish line.We hear from his sports director Andreas Klier and team-mate Sebastian Langeveld about how they pulled it off.Then we turn our attention to Sunday's Paris-Roubaix. Daniel unveils his now regular list of top 18 favourites and we hear Taylor Phinney's unique take on things. **The Cycling Podcast is supported by Rapha and Science in Sport. ****OUR SPONSORS****Rapha** has just launched its new custom kit giving you the chance to design your own Rapha kit. Begin your journey now. Choose from the varied set of templates, pick your colours and add your logos. Make your mark with Rapha Custom at [www.rapha.cc/gb/en/custom/](http://www.rapha.cc/gb/en/custom/)**Pédaleur de Charme** Pédaleur and pédaleuse de charme t-shirts, caps, and jerseys are in back stock in all sizes on the [Rapha website](http://www.rapha.cc). **Science In Sport** are offering all listeners 25 per cent off their range of energy bars, drinks and gels at [scienceinsport.com](http://scienceinsport.com) Use the code **SISCP25** when you reach the check-out.We're very happy to welcome our new episode sponsors, **The Week**, which pulls together the best and most interesting news and current affairs articles from over 200 different sources, giving you multiple points of view on the important stories in one place. Try six issues of The Week for free by going to [theweek.co.uk/offer](http://theweek.co.uk/offer) and using the code **CYCLING**. **FRIENDS OF THE PODCAST** Our latest Friends of the Podcast episode asks why Team Sky have failed to shine at the Tour of Flanders, with Luke Rowe's fifth place their best result in nine attempts so far. This is the fourth Friends of the Podcast episode of 2019 with at least seven more to come. Sign up for just £15 (or feel free to pay more if you want to support what we do) at [thecyclingpodcast.com/friends](http://thecyclingpodcast.com/friends)Join us on [Strava](https://www.strava.com/clubs/the-cycling-podcast-176285), [Facebook](https://www.facebook.com/TheCyclingPodcast/), [Instagram](https://www.instagram.com/thecyclingpodcast/) and [Twitter](https://twitter.com/cycling_podcast). The races leading up to Sunday's Tour of Flanders always offer some clues as to which teams and riders are in the best shape to contend on the cobbled hills.Richard Moore returns from Belgium to discuss Gent-Wevelgem with Lionel Birnie and Daniel Friebe and look ahead to the Tour of Flanders.We also hear from Allan Peiper, sports director of UAE Team Emirates, about Alexander Kristoff's tactics on the Kemmelberg and how he set himself up to win the race. **The Cycling Podcast is supported by Rapha and Science in Sport. ****OUR SPONSORS**Rapha has just launched its new custom kit giving you the chance to design your own Rapha kit. Begin your journey now. Choose from the varied set of templates, pick your colours and add your logos. Make your mark with Rapha Custom at [www.rapha.cc/gb/en/custom/](http://www.rapha.cc/gb/en/custom/)**Pédaleur de Charme** Pédaleur and pédaleuse de charme t-shirts, caps, and jerseys are in back stock in all sizes on the [Rapha website](http://www.rapha.cc). **Science In Sport** are offering all listeners 25 per cent off their range of energy bars, drinks and gels at [scienceinsport.com](http://scienceinsport.com) Use the code SISCP25 when you reach the check-out. **The Economist** also sponsors this episode. For over 170 years, The Economist has delivered trustworthy intelligence that helps people like you choose where to stand on the issues that matter most. All UK-based listeners can get a free print copy of The Economist by texting **CYCLING** to **78070****FRIENDS OF THE PODCAST** Our latest Friends of the Podcast episode asks why Team Sky have failed to shine at the Tour of Flanders, with Luke Rowe's fifth place their best result in nine attempts so far. This is the fourth Friends of the Podcast episode of 2019 with at least seven more to come. Sign up for just £15 (or feel free to pay more if you want to support what we do) at [thecyclingpodcast.com/friends](http://thecyclingpodcast.com/friends)Join us on [Strava](https://www.strava.com/clubs/the-cycling-podcast-176285), [Facebook](https://www.facebook.com/TheCyclingPodcast/), [Instagram](https://www.instagram.com/thecyclingpodcast/) and [Twitter](https://twitter.com/cycling_podcast). 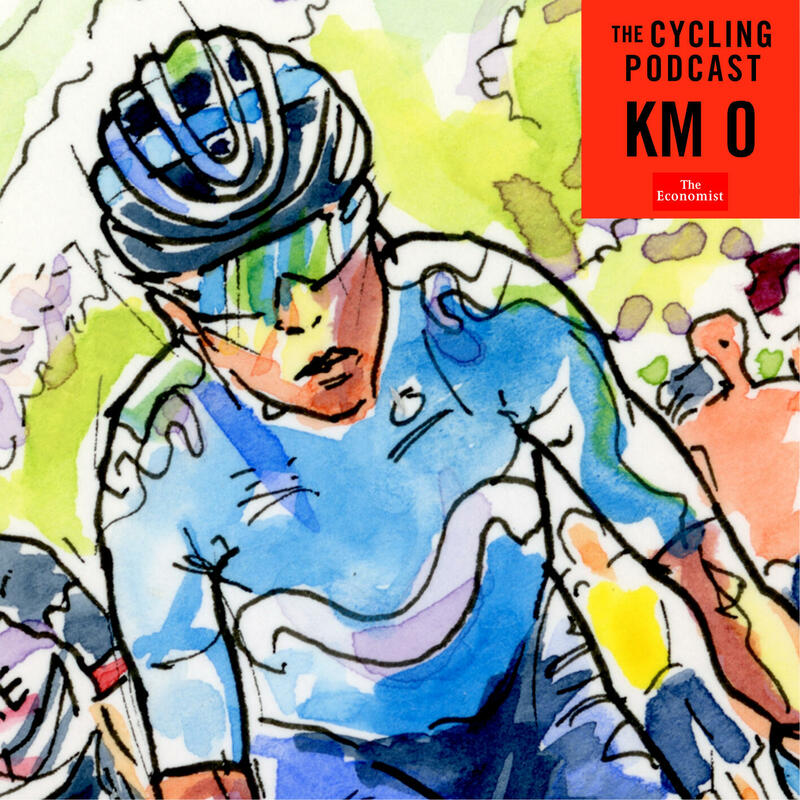 In this episode of The Cycling Podcast, Richard Moore, Lionel Birnie and Daniel Friebe dissect the first one-day Monument of the season, Milan-Sanremo.The race was won Deceuninck-Quick Step's Julian Alaphilippe, who has been in blistering form this spring. The Frenchman outwitted a group that contained world champion's past and present, on the road and in cyclo-cross, grand tour champions and the European champion.And yet Richard suggests Alaphilippe won in spite of his tactics, not because of them…We also discuss the departure of Sir Gary Verity from Welcome to Yorkshire following allegations over his expenses claims and behaviour. **The Cycling Podcast is supported by Rapha and Science in Sport. ****OUR SPONSORS****Rapha** has just launched its new custom kit giving you the chance to design your own Rapha kit. Begin your journey now. Choose from the varied set of templates, pick your colours and add your logos. Make your mark with Rapha Custom at [www.rapha.cc/gb/en/custom/](http://www.rapha.cc/gb/en/custom/)**Pédaleur de Charme** Pédaleur and pédaleuse de charme t-shirts, caps, and jerseys are in back stock in all sizes on the Rapha website. **Science In Sport** are offering all listeners 25 per cent off their range of energy bars, drinks and gels at scienceinsport.com Use the code **SISCP25** when you reach the check-out. **The Economist** also sponsors this episode. For over 170 years, The Economist has delivered trustworthy intelligence that helps people like you choose where to stand on the issues that matter most. All UK-based listeners can get a free print copy of The Economist by texting **CYCLING** to **78070** **FRIENDS OF THE PODCAST**Everyone who has signed up as a Friend of the Podcast for 2019 can download the four-part, four-hour audiobook The Grand Tour Diaries and our first episode on the Dutch Jumbo-Visma's attempts to close the gap to Team Sky now. Our latest episode is called Opening Weekend and focuses on the first cobbled Classic of the season, Omloop Het Nieuwsblad. We will release at least eight more episodes over the course of the year. It costs £15 to become a Friend on our [website](http://thecyclingpodcast.com/friends).Join us on [Strava](https://www.strava.com/clubs/the-cycling-podcast-176285), [Facebook](https://www.facebook.com/TheCyclingPodcast/), [Instagram](https://www.instagram.com/thecyclingpodcast/) and [Twitter](https://twitter.com/cycling_podcast). This episode of The Cycling Podcast kicks off with confirmation that Team Sky will become Team Ineos in time for the Tour de Yorkshire at the end of next month.Richard Moore, Lionel Birnie and Daniel Friebe discuss the deal that has saved Team Sky's Dave Brailsford, their riders and staff months of uncertainty and speculation over their future and, arguably, could make the team even stronger.It's also been a busy week of racing with two World Tour stage races and some exciting, aggressive action.We discuss Paris-Nice, which was won by Team Sky's young Colombian Egan Bernal. The Race to the Sun also featured two sprint victories for Ireland's Sam Bennett – but will that change Bora-Hansgrohe's minds when it comes to selecting their team for the Giro d'Italia? And was Simon Yates's time trial victory actually a surprise?Meanwhile, in Italy Julian Alaphilippe catapulted his name up the list of favourites for Saturday's Milan-Sanremo by outfoxing the sprinters and climbers in the space of a few days.In the third part, Daniel rattles off his list of 18 potential Milan-Sanremo winners and we discuss what the early season races tell us about the opening Monument of the season. **The Cycling Podcast is supported by Rapha and Science in Sport. ****Rapha** has just launched its new custom kit giving you the chance to design your own Rapha kit. Begin your journey now. Choose from the varied set of templates, pick your colours and add your logos. Make your mark with Rapha Custom at [rapha.cc/gb/en/custom/](http://rapha.cc/gb/en/custom/)**Pédaleur de Charme**Pédaleur and pédaleuse de charme t-shirts, caps, and jerseys are in back stock in all sizes on the [Rapha website](https://www.rapha.cc/GB/en/search/all?text=pedaleur). **Science In Sport** are offering all listeners 25 per cent off their range of energy bars, drinks and gels at [scienceinsport.com](http://scienceinsport.com) Use the code **SISCP25** when you reach the check-out. Go to the Science in Sport [website](http://scienceinsport.com).This episode is sponsored by Harry's. To get your trial razor set for £3.95, go to [Harrys.com/cycling](http://Harrys.com/cycling). You get a ergonomic weighted handle, five-blade cartridge set, foaming shave gel and travel blade cover. Be smooth like the Buffalo, not scruffy like the other two. **FRIENDS OF THE PODCAST** Everyone who has signed up as a Friend of the Podcast for 2019 can download the four-part, four-hour audiobook The Grand Tour Diaries and our first episode on the Dutch Jumbo-Visma's attempts to close the gap to Team Sky now. Our latest episode is called Opening Weekend and focuses on the first cobbled Classic of the season, Omloop Het Nieuwsblad. We will release at least eight more episodes over the course of the year. It costs £15 to become a Friend on our [website](http://thecyclingpodcast.com/friends).Join us on [Strava](https://www.strava.com/clubs/thecyclingpodcast), [Facebook](https://www.facebook.com/TheCyclingPodcast/), [Instagram](https://www.instagram.com/thecyclingpodcast/) and [Twitter](https://twitter.com/cycling_podcast). The March episode of The Cycling Podcast Féminin, with Orla Chennaoui, Rose Manley and Richard Moore, includes the latest racing news, including the first event of the Women's World Tour, Strade Bianche, won by a resurgent Annemiek van Vleuten.There's an interview with Nicole Hanselmann, the Swiss rider who had to stop when, during her solo escape, she caught the men's field at Het Nieuwsblad. It was a story that made international headlines, but Hanselmann tells us what actually happened.Orla meets Jip van den Bos, the young Dutchwoman who rides for Boels-Dolmans and was the recent winner of Le Samyn des Dames. And there's a tribute to Kelly Catlin, whose tragic death has shocked the cycling world. The 23-year-old, a world champion and Olympic silver medallist, was an early guest on the podcast. We revisit her interview and hear a tribute from her former coach, Andy Sparks. The Cycling Podcast Féminin is supported by Rapha and Science in Sport. **Rapha** has just launched its new custom kit giving you the chance to design your own Rapha kit. Begin your journey now. Choose from the varied set of templates, pick your colours and add your logos. Make your mark with Rapha Custom at [rapha.cc/gb/en/custom/](https://rapha.cc/gb/en/custom/)**Pédaleur de Charme**Pédaleur and pédaleuse de charme t-shirts, caps, and jerseys are in back stock in all sizes on the Rapha website. **Science In Sport** are offering all listeners 25 per cent off their range of energy bars, drinks and gels at scienceinsport.com Use the code **SISCP25** when you reach the check-out. [Go to the Science in Sport website. ](https://scienceinsport.com)**The Economist** also sponsors this episode. For over 170 years, The Economist has delivered trustworthy intelligence that helps people like you choose where to stand on the issues that matter most. All UK-based listeners can get a free print copy of The Economist by texting **CYCLING to 78070****FRIENDS OF THE PODCAST**Everyone who has signed up as a Friend of the Podcast for 2019 can download the four-part, four-hour audiobook The Grand Tour Diaries and our first episode on the Dutch Jumbo-Visma's attempts to close the gap to Team Sky now. Our latest episode is called Opening Weekend and focuses on the first cobbled Classic of the season, Omloop Het Nieuwsblad. We will release at least eight more episodes over the course of the year. It costs £15 to become a Friend on our website.Join us on [Strava](https://www.strava.com/clubs/thecyclingpodcast), [Facebook](https://facebook.com/the-cycling-podcast), [Instagram](Https://instagram.com/thecyclingpodcast) and [Twitter](https://twitter.com/cycling_podcast). In this episode of The Cycling Podcast, Richard Moore, Lionel Birnie and Daniel Friebe discuss the Italian one-day race Strade Bianche, which takes the peloton across the dusty white roads of Tuscany and into the glorious centre of Siena.Julian Alaphilippe continued Deceuninck-Quick Step's incredible run of one-day race victories, beating Jakob Fuglsang at the finish with Wout Van Aert – the revelation of last year's race – in third.We compare Strade Bianche to the other Classics and ask whether it deserves to be considered as cycling's 'sixth' Monument.Then we turn our attentions to the opening couple of days of Paris-Nice, won by Dylan Groenewegen and shaped by vicious crosswinds.And Richard casually drops in the biggest news of the week concerning Team Sky's search for a replacement sponsor in the third part, so keep listening. **The Cycling Podcast is supported by Rapha and Science in Sport.OUR SPONSORS****Rapha** has just launched its new custom kit giving you the chance to design your own Rapha kit. Begin your journey now. Choose from the varied set of templates, pick your colours and add your logos. Make your mark with Rapha Custom at [www.rapha.cc/gb/en/custom/](http://www.rapha.cc/gb/en/custom/)**Pédaleur de Charme**Pédaleur and pédaleuse de charme t-shirts, caps, and jerseys are in back stock in all sizes [on the Rapha website](https://www.rapha.cc/gb/en/search/all?text=P%C3%A9daleur+de+charme). **Science In Sport** are offering all listeners 25 per cent off their range of energy bars, drinks and gels at [scienceinsport.com](http://scienceinsport.com) Use the code **SISCP25** when you reach the check-out. **The Economist** also sponsors this episode. For over 170 years, The Economist has delivered trustworthy intelligence that helps people like you choose where to stand on the issues that matter most. All UK-based listeners can get a free print copy of The Economist by texting **CYCLING** to **78070****FRIENDS OF THE PODCAST**Everyone who has signed up as a Friend of the Podcast for 2019 can download the four-part, four-hour audiobook The Grand Tour Diaries and our first episode on the Dutch Jumbo-Visma's attempts to close the gap to Team Sky now. Our latest episode is called Opening Weekend and focuses on the first cobbled Classic of the season, Omloop Het Nieuwsblad. We will release at least eight more episodes over the course of the year. It costs £15 to become a Friend on our [website](http://www.thecyclingpodcast.com/friends).Join us on [Strava](https://www.strava.com/clubs/thecyclingpodcast), [Facebook](https://www.facebook.com/TheCyclingPodcast/), [Instagram](https://www.instagram.com/thecyclingpodcast/) and [Twitter](https://twitter.com/cycling_podcast). In the latest episode of The Cycling Podcast there are interviews with Tejay van Garderen, looking to re-boot his career with EF-Education First, and his teammate Sep Vanmarcke, the former winner of Omloop Het Nieuwsblad, the Belgian race that kicks off the cobbled classics season this weekend.Richard Moore, Lionel Birnie and Daniel Friebe also discuss the latest racing in Spain, Algarve and the Middle East. Simon Yates managed an eye-catching performance on the bike, winning a stage of the Ruta del Sol in spectacular fashion. The Vuelta a España winner grabbed attention off the bike, too, with an interview in the Spanish media in which he admitted that the Tour de France holds no real appeal for him. The Giro d'Italia is Yates's main focus this season.While Van Garderen tells us why general classification will remain his priority in stage races, Daniel serves up his definitive 18-man list of 'riders most likely to win a Grand Tour before the end of their career,' and Lionel looks ahead to another Het Nieuwsblad, 20 years after his first. The Cycling Podcast is supported by Rapha and Science in Sport. **OUR SPONSORS ****Rapha** have launched their limited edition range of flyweight jerseys inspired by cycling's heartlands and new frontiers. Each design features the country's colours on the sleeve. Choose from Italy, France, Norway, USA, Japan and more at [rapha.cc](https://rapha.cc)The World’s Finest Cycling Clothing and Accessories | Rapha**Science In Sport** are offering all listeners 25 per cent off their range of energy bars, drinks and gels at [scienceinsport.com](https://scienceinsport.com) Use the code **SISCP25** when you reach the check-out. **The Economist** also sponsors this episode. For over 170 years, The Economist has delivered trustworthy intelligence that helps people like you choose where to stand on the issues that matter most. All UK-based listeners can get a free print copy of The Economist by **texting CYCLING to 78070****FRIENDS OF THE PODCAST**Everyone who has signed up as a Friend of the Podcast for 2019 can download the four-part, four-hour audiobook The Grand Tour Diaries and our first episode on the Dutch Jumbo-Visma's attempts to close the gap to Team Sky now. We will release at least nine more episodes over the course of the year. It costs £15 to become a Friend [on our website. ](https://thecyclingpodcast.com/friends)Join us on [Strava](https://www.strava.com/clubs/thecyclingpodcast), [Facebook](https://www.facebook.com/TheCyclingPodcast/), [Instagram](https://instagram.com/thecyclingpodcast) and [Twitter](https://twitter.com/cycling_podcast). The February episode of The Cycling Podcast Féminin includes interviews with cyclo-cross world championship silver medallist Lucinda Brand, Olympic gold medallist Katie Archibald and the recently retired Dani Rowe. Orla Chennaoui, Richard Moore and Rose Manley discuss the latest news, including a thrilling women’s race at the cyclo-cross worlds in Denmark. Brand suffered a late mishap when she collided in the pits with her father during a clumsy bike change. She tells us that she has already put that disappointment behind her as she focuses on the road season.Archibald shares her plans for 2019, in which she might ride as a ‘privateer’ rather than for one of the leading road teams. And Rowe explains why she made the surprising decision to retire at the end of last season, her best on the road. “I feel privileged to go out on my own terms, in a really good mental place with the sport,” says Rowe. “I don’t look at a bike and think, I never want to ride a bike again. I still love it. I haven’t been told I’m not good enough and I haven’t had an injury that’s forced me out of the sport.” The Cycling Podcast Féminin is supported by [Rapha](https://rapha.cc) and [Science in Sport. ](https://scienceinsport.com)Harry’s have a special offer for Cycling Podcast Féminin listeners by offering a Trial Set for £3.95, all you have to do is go to Harrys.com/CYCLINGTo get 25% off Science in Sport products, go to scienceinsport.com and enter the code SISCP25 at the checkout.